Publications | Emphasis on Excellence, Inc. In this special Get a Plan! 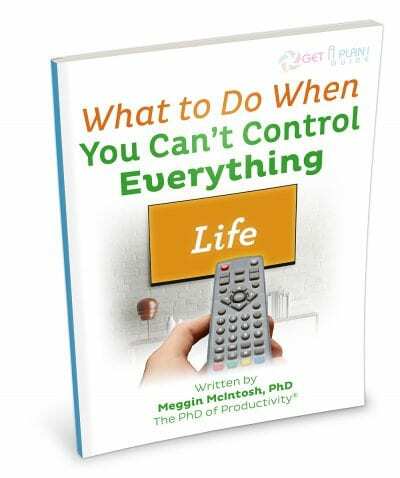 Guide ® that was written to reflect Meggin’s own experiences in the last few years, you will learn 10 codes to apply to your list of oh-my-gosh-how-can-I-get-everything- done-I’m-freaking-out items.These codes, along with Meggin’s suggestions, will help you gain some perspective and approach your list - and your responsibilities - in a different manner. By accessing this Get a Plan! 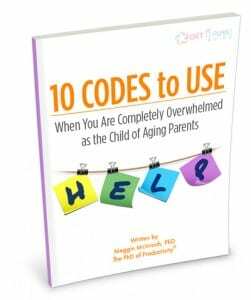 Guide® , you will have tools to use now - or in the future, depending on your current situation. 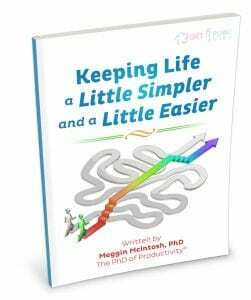 The Compendium of Productivity Tips for Professors! 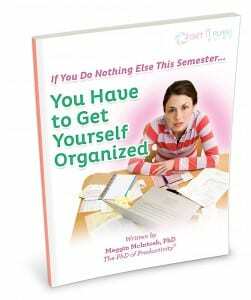 If you are ready to get organized, then you will want the The Compendium of Productivity Tips for Professors! 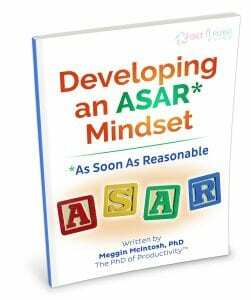 It contains over 650 practical, immediately-implementable tips and strategies that will serve you in your role as an academic. 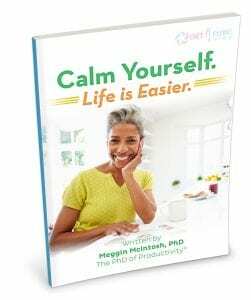 If you are stressed and ready to reduce that stress (NOW! ), then you are going to love reading and implementing the tips and strategies in this brand new Get a Plan! Guide ®. 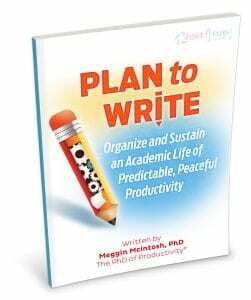 Written in Meggin’s straightforward, clear, and practical style, this Get a Plan! 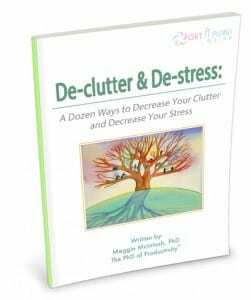 Guide ® will help you learn a dozen specific ways to start dealing deliberately with your clutter – and then experiencing a reduction in your stress. 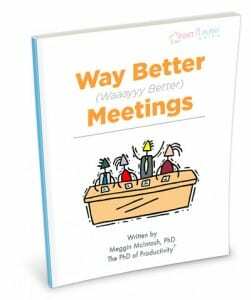 Get started today with tools you will use to bring more peaceful, predictable productivity to your life at work and at home. Regardless of the professional role you may be in (or to which you may aspire), you can deliberately design your professional presence. That’s the first thing you need to know. It is NOT about getting plastic surgery. It IS about paying conscious attention to a multitude of factors over which you have total control. This Get a Plan! Guide ® gives you reasons and specifics about what to do so that you come across to others in a professional manner.You want to be taken seriously, whatever your profession is. If you are a person who is comfortable with networking and who teaches others how to network effectively, then you don’t need this Get a Plan! Guide ®. For everybody else . . . you need to make this purchase and read the guide today. Networking is a far more important skill and practice than any of us can really comprehend.Years ago, it wasn’t necessary to know how to network because you knew who you knew - and that was all you needed to know. Today… that is far from true. 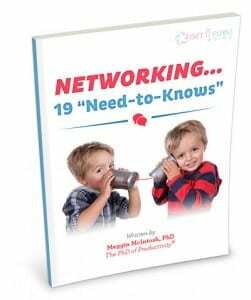 Learn 19 Networking Need-to-Knows in this practical and specific Get a Plan! Guide® to Networking . 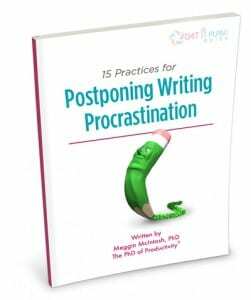 Writers who procrastinate? Impossible. Never heard of such a thing. No way.That doesn’t sound like any writers I know. Well . . . all of us who are writers know perfectly well that we procrastinate - sometimes in very clever ways. 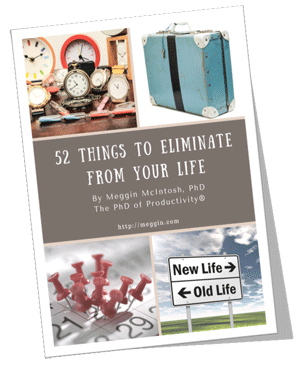 And, the truth is, we need some practical practices to stop procrastinating (or at least put it off).This Get a Plan! Guide ® gives you 15 Practices for Postponing Writing Procrastination (with a clever way of remembering them - included as a mini-poster). Do not put off ordering this guide. Your writing is waiting! Do you want to control your email instead of feeling like it is controlling you? If you could decrease the time you spend on email by 50%, what would it be worth to you? 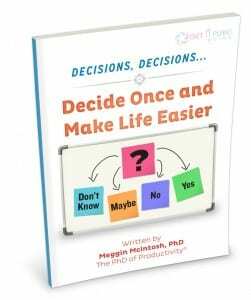 If you could dramatically increase your sense of control over your email, what differences would that make in your personal and professional life? By accessing the Get a Plan! 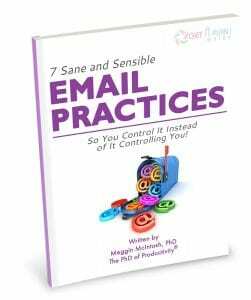 Guide® to Seven Sane & Sensible Email Practices , you will learn best practices (all of which start with the letter “D”): determine , delete , decide , defer , defend , devalue , deploy . 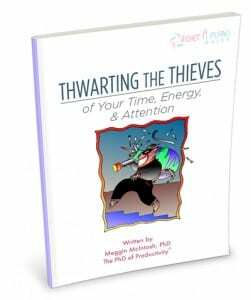 You will notice an immediate difference in your sanity and sensibility when you implement what you learn in this popular Get a Plan! Guide ®. 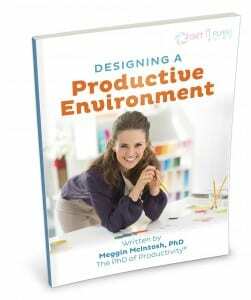 Top Ten Productivity Tips – The Collection! 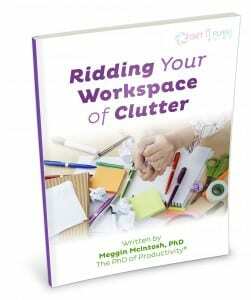 If you want over 550 practical, immediately-implementable tips to read, print, and/or post as reminders, then you will want the publication, Top Ten Productivity Tips – The Collection! 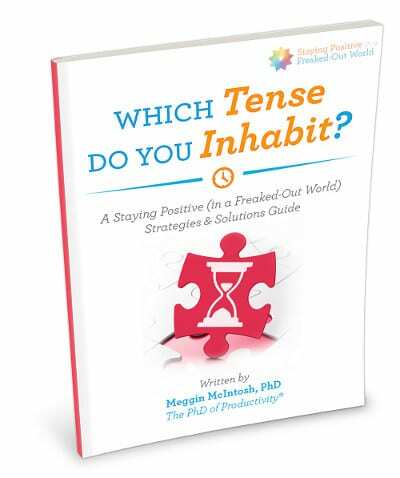 Which Tense Do You Inhabit? 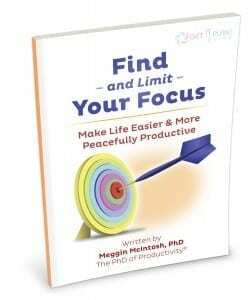 In this special Staying Positive Strategies and Solutions Guide, you will learn specific insights about where you may be squandering your precious time, energy, and attention. 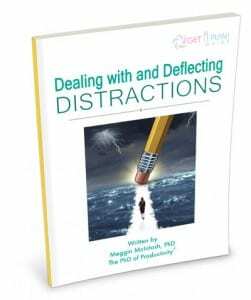 You will also learn ways to keep yourself mindful and focused throughout the day!